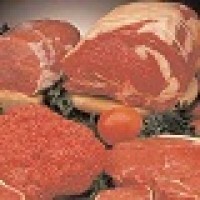 We supply truly pastured pork - raised on a rich diverse diet in a naturally healthy setting. Pigs raised to be naturally healthy graze and root around in the earth to include insects, grass shoots and leaves, grubs and fungi in their diets and keep their skins and bodies healthy. This natural foraging compliments a nutritious ration so they get the additional micro-nutrients, exercise and enrichment they need for strong immune systems and good health. My Farm Shop prefers rare breeds as they are slower growing, which allows time to develop a proper flavour. Our pigs give birth outdoors and spend their entire lives free to roam in paddocks and to forage for the natural nutritional elements they find from healthy pastures and soils. The do not have their tails docked or their teeth clipped and grow at a natural pace unaided by hormones or growth promoters. We use small local abattoirs and personally inspect their animal handing and processing operations so we can assure ourselves that we are achieving exemplary animal welfare standards. Boned out piece of pork belly - perfect for slow cooking or roasting to a delicious serving of crackling and tender belly meat. 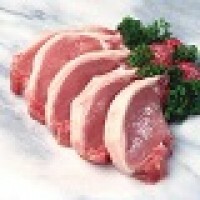 2 x Pork Cutlets - thick cut - ideal for the grill, bbq or roasting. 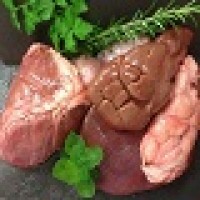 2 pieces of pork fillet - ideal for the grill, bbq or roasting. 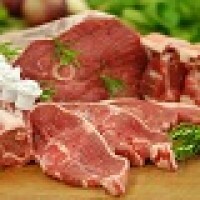 2 x Loin Chops - thick cut - ideal for the grill, bbq or roasting. A great base for soups and other flavour packed slow cooking (they just fall apart!). A neat and delicious rolled loin roast - skin on - ready for some cracklin' action! A neat and delicious rolled shoulder roast - skin on - ready for some cracklin' action in the oven, or into the slow cooker. Two racks of American style spare ribs - ready for marinade and then the BBQ. Our mince is ultra-lean, premium mince. Packaged in approx. 500g portions. Delicious traditional bratwurst sausages. 6 per pack, in natural casings, and are grain and preservative free. Contains dairy. Ingredients: Pork, Salt, Milk, White Pepper, Spices. The back fat from a pig is perfect for rendering down for lard, curing as lardo, or even making your own soap. The pack is cryovac packed and frozen. 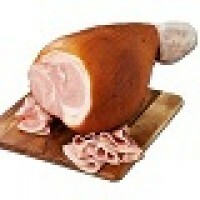 Get prepared for pea and ham soup - with these smoked bones from heritage breed free range pigs. 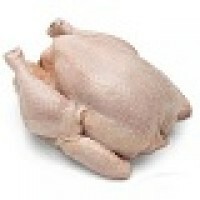 2 Trotters per pack - great to go into your stocks for additional gelatin or slow cooked (they just fall apart! ).